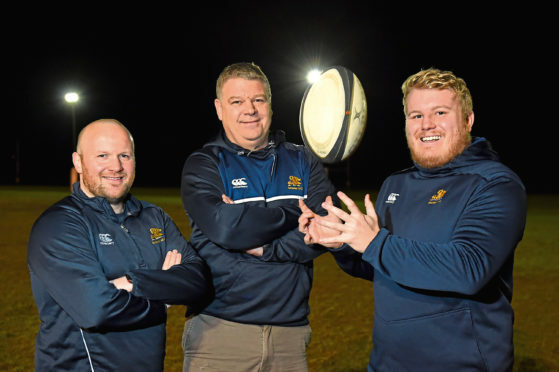 The title is within their grasp but Gordonians head coach Ryan Morrice insists no one at Countesswells is resting on their laurels. The Aberdeen men can claim the National 3 title tomorrow if they beat Ardrossan in their final home game and Newton Stewart fail to do the same at Perthshire. Excitement is building at the club at the prospect of the title being won but Morrice knows nothing has yet been achieved. He said: “We’re almost there. It has been a great season so far but if we want to win the title we still need six points from our remaining games. “It will be a tough test against Ardrossan. “We were the last team to beat them on their home ground and they’ve been on a bit of a tear since in the division. They’ll be coming to Countesswells full of confidence. Gordonians moved 10 points clear at the top with victory at Caithness last weekend in what was another challenging game for the league leaders and, while promotion was not the target at the start of the campaign, the head coach will gladly take it. He said: “Rugby is a game of momentum and not just during the 80 minutes every weekend. It’s all about maintaining your form and results over the course of a season and we’ve done that so well. If you lose that momentum it is so hard to get it back and we’ve worked hard as coaches to keep that momentum going all season. “Promotion wasn’t the priority at the start of the season. Our focus was on performances and building a strong group of players at the club. We want our players to play the game with a smile on their face and they have done that all season. Flanker Corey Buchan misses out due to work commitments while winger Danny Osugo is on holiday. Meanwhile, Orkney travel to Hillhead-Jordanhill with little to choose between the teams sitting 10th and ninth in National 3 respectively. Club captain Scott Rendall believes that his side benefited from the two-week international break before returning to action in style last weekend with an emphatic 60-7 win over Haddington at Pickaquoy. Rendall said: “It was good we were able to give our bodies a rest and it gave us the chance to work hard at training. “We were able to re-group and came back with a good home win against Haddington last weekend. “The break allowed us to get one or two boys back from injury so we should be more or less at full strength for the weekend trip to Hilhead Jordanhill. “There’s not much to pick between ourselves and Hillhead Jordanhill. “We had a very competitive game against them in Orkney when we beat them 31-22 on November 3 so we can expect another tough physical battle down there.